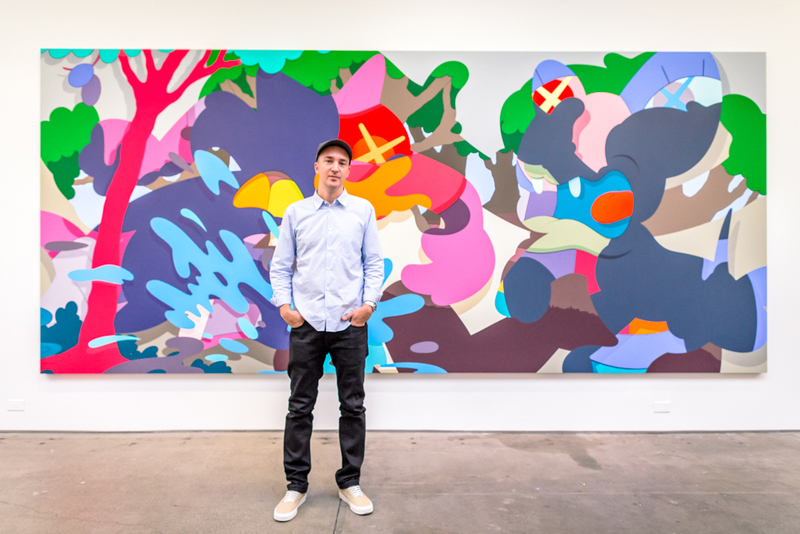 New York-based artist KAWS has maintained an unforgettable reputation with a signature look. Known to put on memorable exhibits, KAWS has also worked alongside the likes of Pharrell Williams and has also teamed up with MTV in order to design the iconic moonman for the annual MTV Video Music Awards (VMAs). Additionally, he was created cover art for artist such as Clipse, Kanye West and many others. In some of his recent work, KAWS has done Snoopy inspired prints for 2015’s Art Basel in Miami and also provide artwork for W Magazine’s cover featuring Drake. As KAWS usually makes sure that his work surprises his followers, only time will tell as to when his next project will be revealed.